Sharp is a powerhouse in the electronics industry, involved in televisions, liquid crystal displays, LED lighting systems, solar cells, multi-function business machines, and many other electronics-based products. One of a global network of Sharp R&D laboratories, Sharp Laboratories of Europe (located in Oxford, England), has been busy researching and developing LED lighting, display technology, microfluidic lab-on-a-chip, and energy systems for incorporation into Sharp’s products. Sharp Laboratories of Europe (SLE), located in Oxford, England. Televisions in the past decade have become increasingly bigger, clearer, and cheaper. Some of the most popular types are LED-LCD TV’s, meaning they have liquid crystal displays (LCD) using light emitting diodes (LED) to light the screen. These displays are popular for their clear picture and reduced power consumption (compared to plasma screens). Sharp is always striving to make their products stand out on the competitive consumer electronics market. Two main areas they are actively working on are LED lighting and display technology, two vital parts of televisions (among other things). The high operating temperatures of LED lights cause a reduction in their efficiency when converting electricity into light. If any hot spots occur in the LED chip, the entire device is compromised. In order to increase wall-plug efficiency, Sharp Laboratories of Europe (SLE) set out to optimize LED electrode design to achieve a uniform temperature distribution throughout the LED chip, preventing the occurrence of hot spots. 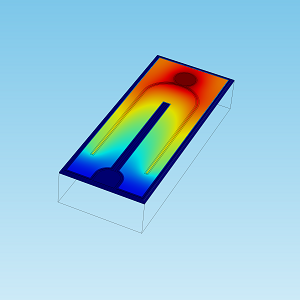 By using multiphysics simulation where thermal and electrical aspects are coupled when studying LED designs, they have improved the performance of the components and thereby minimized the time-to-market for Sharp’s products. SLE is ever striving to improve their LCD displays’ image quality and power consumption for televisions and other products, like smartphones, for example. While LCD displays consume less energy than most other displays, they still account for a big chunk of the power consumed by phones. SLE investigates the electrical characteristics of the LCD pixels, and extracts the parasitic resistances and capacitance of the electrical wiring inside them. The LCD pixel geometry created in an ECAD software is imported and rendered in 3D with the ECAD Import Module. 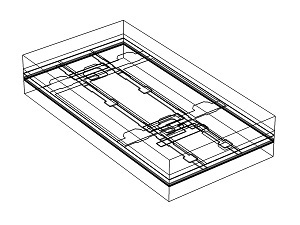 Built-in meshing capabilities of COMSOL Multiphysics are then used to mesh the thin-film, large aspect ratio 3D structures that SLE was able to analyze more accurately than ever before. Imported LCD pixel geometry. 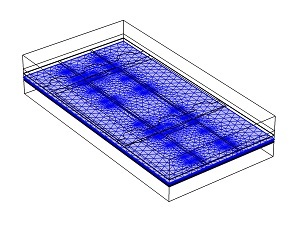 COMSOL mesh of thin-film, high-aspect-ratio structures. 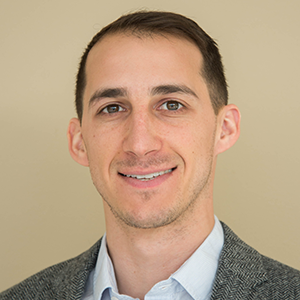 Check out the story in the IEEE Multiphysics Simulation insert to read more about the R&D conducted at Sharp Laboratories of Europe, including Microfluidic Lab-on-a-Chip and Energy Systems. One of the best qualities of COMSOL Multiphysics that our customers praise is versatility, and this story is a perfect example of that.